Most romantic wedding invitations are used for destination weddings. If you do not know what destination weddings are, they are actually wedding ceremonies that are held outside the hometown of the couple who will be wedded. Destination weddings are usually held in mountains, forests, beaches and other venues that are tagged before only as tourist spots. 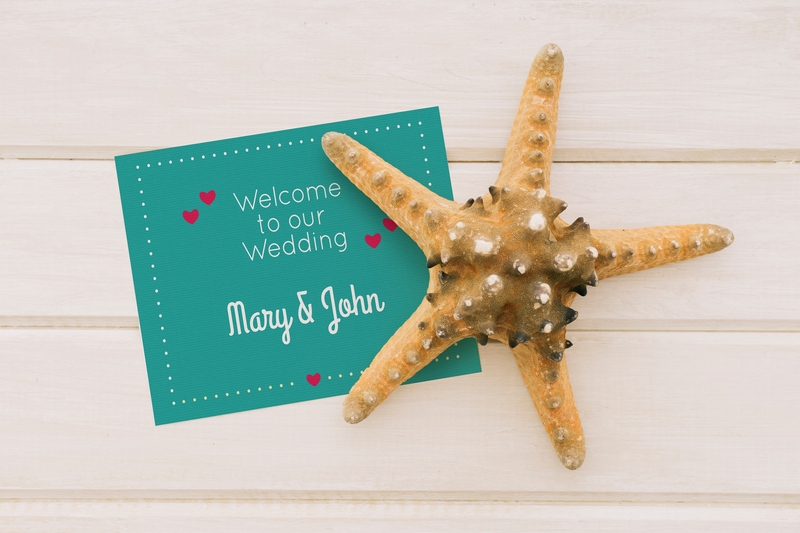 If you will have a beach wedding, it is only necessary for you to have a beach wedding invitation. This will allow you to present the wedding in the most realistic manner. 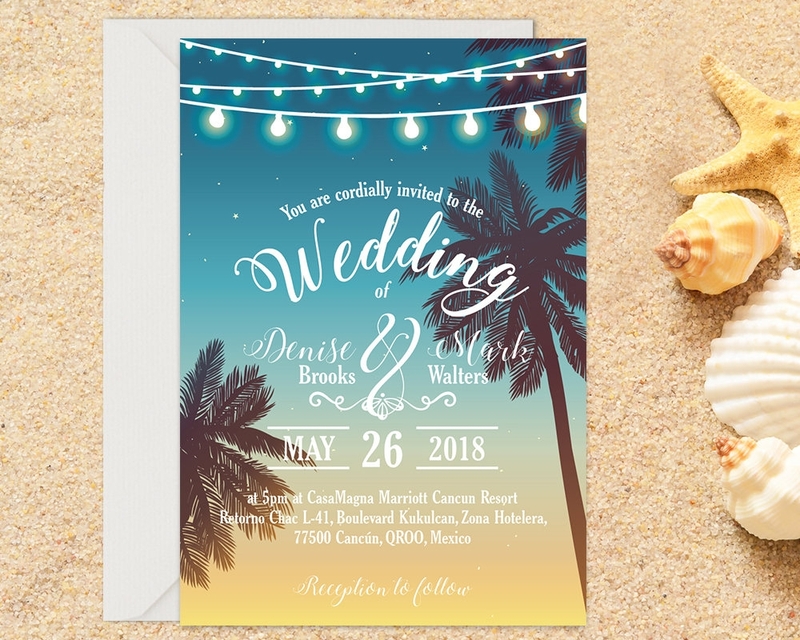 A lot of examples of wedding invitations with a wedding theme are already out there and we have gathered a few of them so you can have design references if you already plan to create your own beach wedding invitation. 1. Use blue tones and hues as the main colors of your wedding invitation. This can represent the skies and the seas which are the main symbols of the location where your wedding will be held. 2. You may incorporate the colors green and brown to make your design look more tropical. Earth tones can help you easily interpret your vision of what a beach looks like. You may also like invitation ticket examples. 3. Play with the color tones of the beach sunset or sunrise. The sun plays a vital role in making the beach design come to life. If you want to make your design look more realistic, then have a color palette where the rays of the sun can be interpreted. 4. 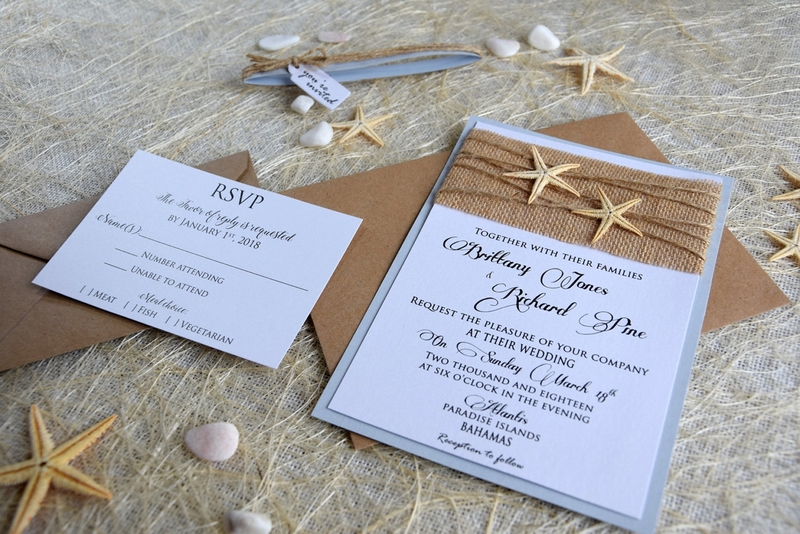 Mix colors together to make color transitions commonly seen in burlap wedding invitations. 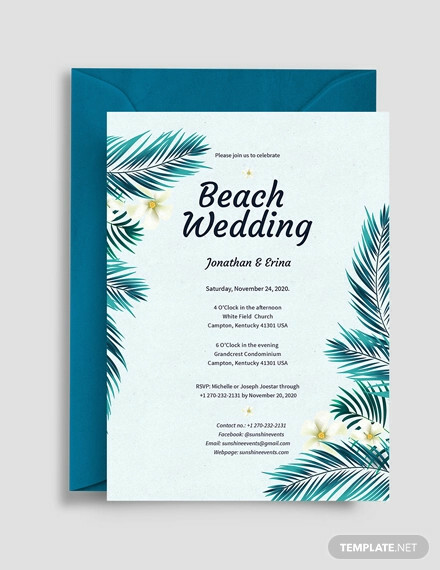 The combination of tropical colors can make your beach wedding invitation design look more interesting. 1. 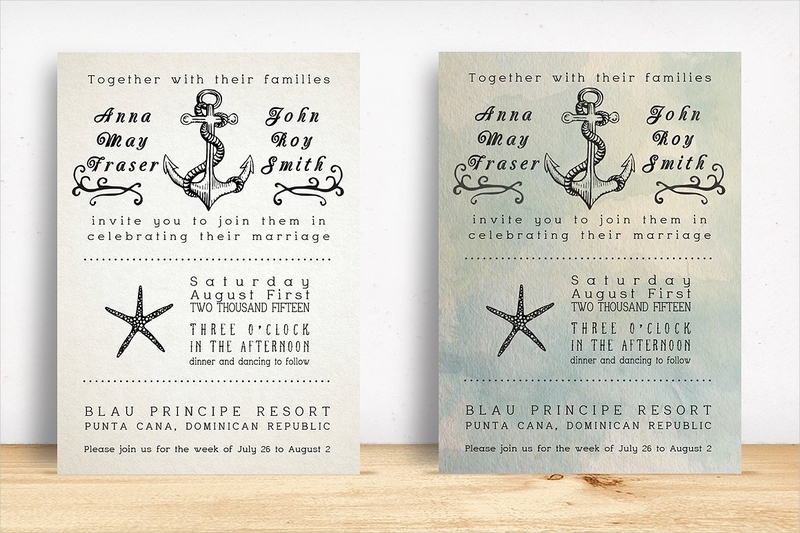 Come up with nautical wedding invitations where fun activities in the sea can be depicted. It can be a yacht party, an image of a wedding by the beach or just a simple photo of a couple sun bathing. 2. If you want your wedding invitation design to be as tropical as you prefer it to be, then you can use island wedding invitations. Use a photo of an island as the background of your beach wedding invitation. You can even have a collage of photos where there are certain shots of the island from different angles. 3. A resort wedding invitation can be used as well especially if you will have your wedding ceremony and reception in a beach resort. resort wedding invitations should be designed based on the aesthetic of the resort where you will host your wedding. 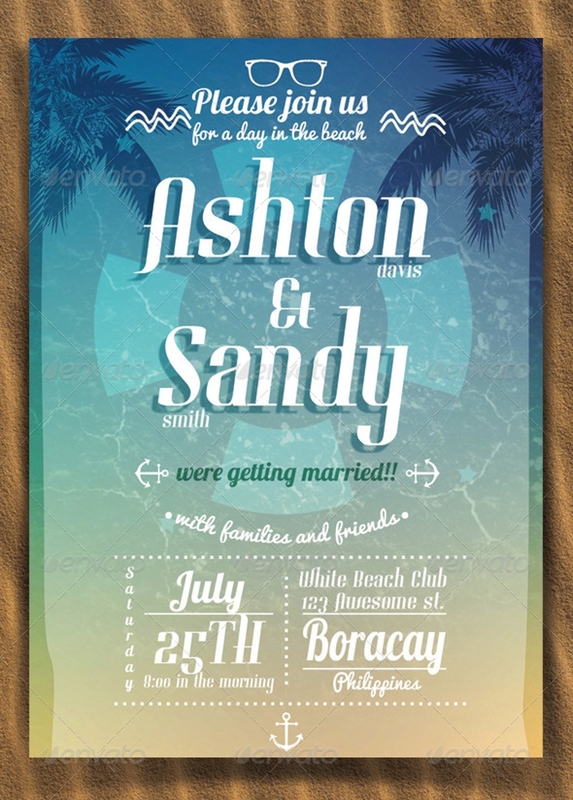 4. modern wedding invitations can also have a beach theme. What you can do to make this happen is to have a wedding invitation which includes modern representations of the images and icons that are typically associated with the beach. 1. Get formatting references from other kinds of wedding invitations. For example, you can use floral cutouts inspired by floral wedding invitations as the leaf cover of your beach wedding invitation. 2. 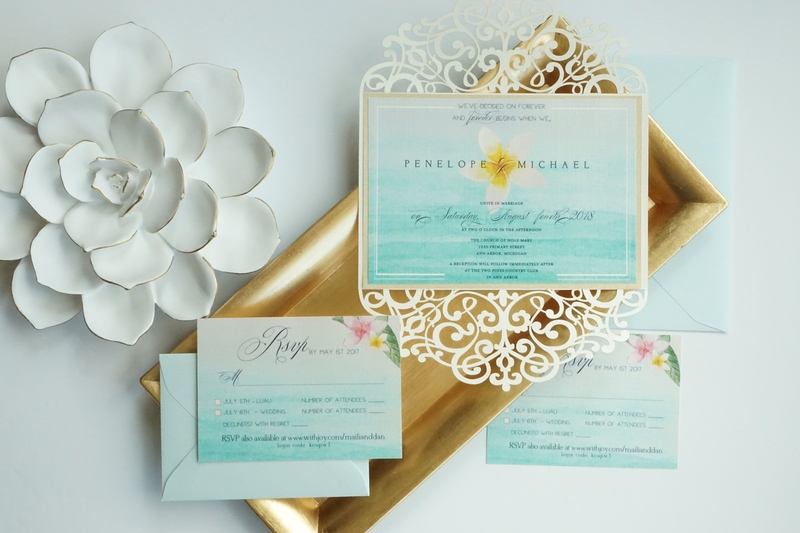 Make the layout of your beach wedding invitation speak for itself. 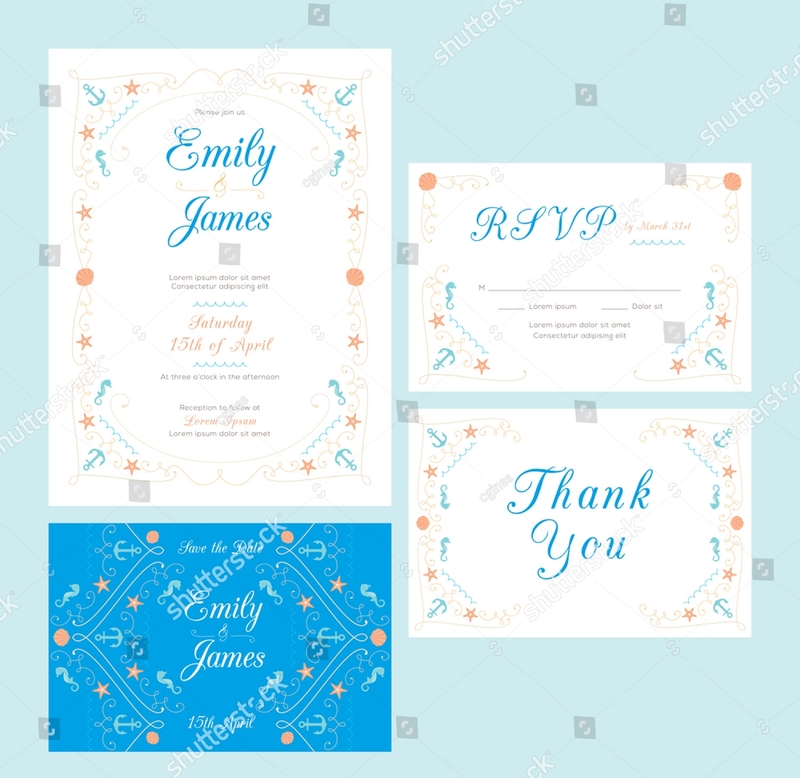 Properly space the items that you will include in the design so you can present elegance and class in the overall look of the beach wedding invitation. Is it not great to have royal wedding invitations for your beach wedding? 3. 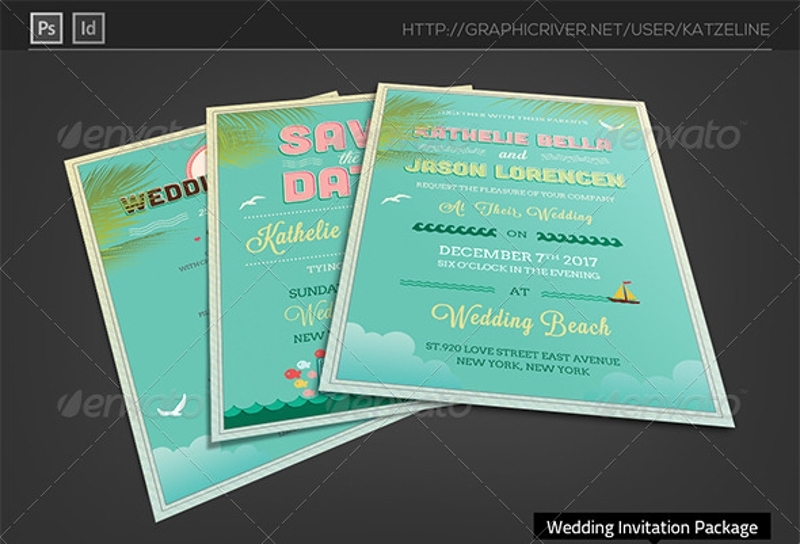 Come up with unique designs of beach wedding invitation bases. Just like how art deco wedding invitations are done, you can use a variety of lines and shapes to make the layout of your wedding invitation to be more interesting. 4. Use boards or any other materials which you think can go well with the design that you have in mind. 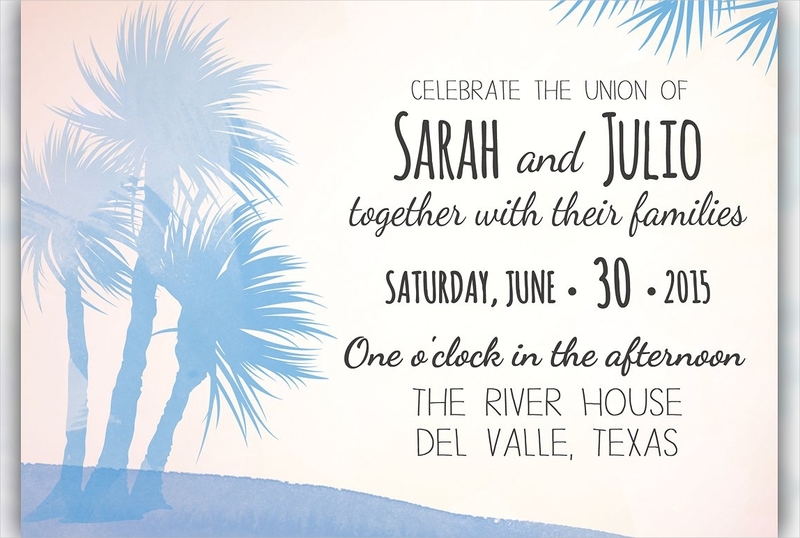 You can even pattern your wedding anniversary invitation from your beach wedding invitation if the format and layout that you have decided to use is truly effective. 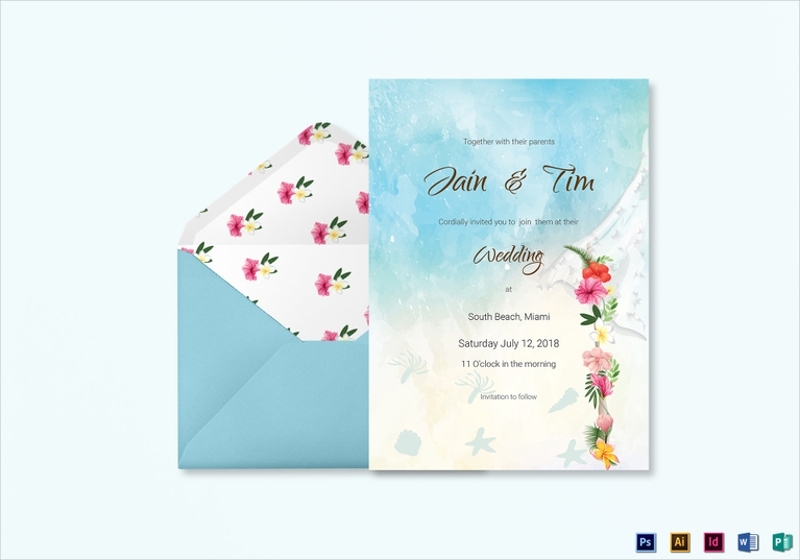 What Should I Put in Beach Wedding Invitation? 1. Use tropical flowers to give an impression of how the beach will be designed during your wedding day. 2. 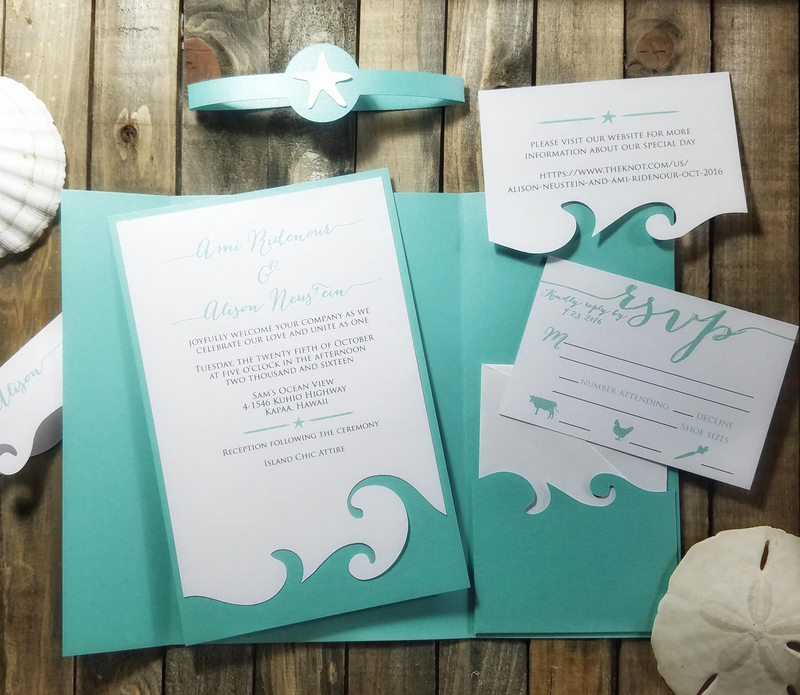 Incorporate waves and other water elements and designs to strengthen the idea that your wedding invitation is themed after the beach. You may also see invitation card designs and examples. 3. You can use fairy lights and other cute materials that you will also have in the set-up during your wedding. This can make the entire design look more magical. 4. Tropical trees like coconut can be used as your background or even your main design material. 5. Use fonts that go well with the beach aesthetic. This will help you to make all the items in the document look more cohesive. You may also like bridal shower invitation examples. 6. Use silhouettes of trees, flowers, and other elements that can be seen in the beach. 7. You can also use sea shells and other trinkets commonly found in beach destinations. 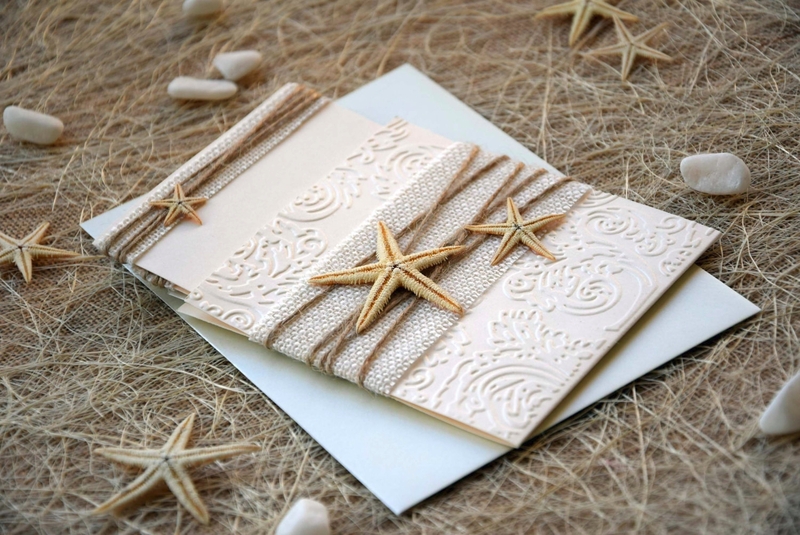 Though lace wedding invitations and watercolor wedding invitations can still be used for a beach wedding, we still recommend the usage of a beach wedding invitation as it can present the entirety of the celebration. 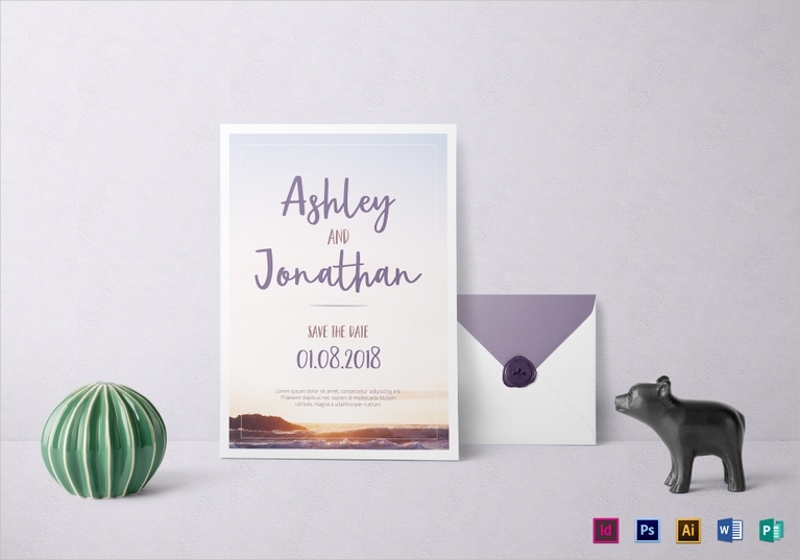 If you want to use this kind of wedding invitation, refer to the tips and samples that we recommend you to use so you can be guided accordingly when developing the format, design and layout of your own beach wedding invitation.